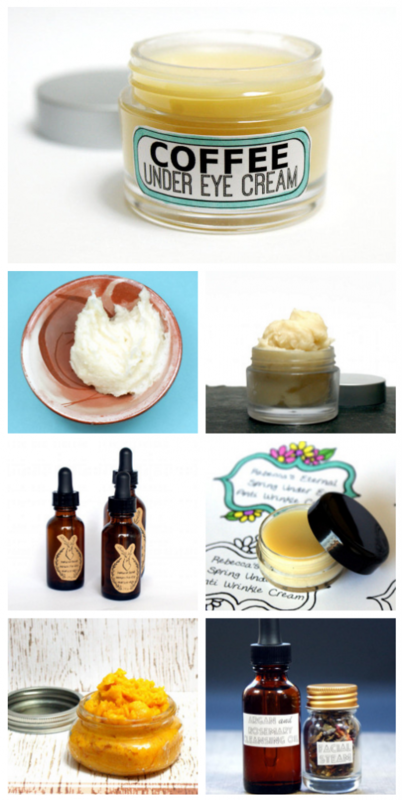 Looking for a vegan friendly moisturizer DIY? 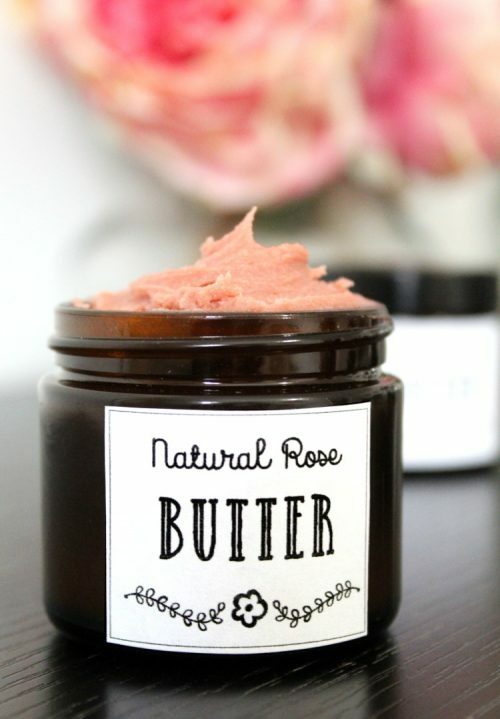 This rose body butter recipe fits the bill! 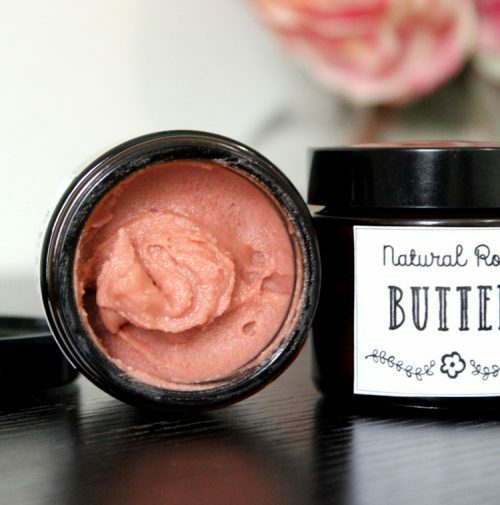 Made with only natural ingredients, this rose body butter nourishes skin without leaving it feeling greasy. Inspired by Nourish Organic’s Rejuvenating Rose Butter, my rose body butter recipe contains refined shea butter and coconut oil, rosehip seed and sunflower oil, and natural rose kaolin clay. I also added a touch of frankincense essential oil for a light scent and for frankincense’s valuable astringent properties when used in skin care applications. Because frankincense can help to protect skin cells, it’s useful in preventing acne blemishes, the appearance of large pores, and wrinkles. It’s also believed to help lift and tighten skin which can deter the signs of aging. And, as if that wasn’t enough, my rose body butter recipe also absorbs quickly so you can get on with your day without leaving oily marks everywhere you go! Which frankincense essential oil should I use? There are four main types of frankincense. They are Boswellia Serrata, Boswellia Frereana, Boswellia Carteri and Boswellia Papyrifera. For this application, I’ll be discussing the differences between Boswellia Serrata, Boswellia Frereana, and Boswellia Carteri essential oils. Frankincense (Boswellia Serrata) essential oil is the oldest documented Frankincense and is believed to have been used in both Ayurvedic medicine and as the frankincense mentioned in the Bible. It contains high amounts of alpha thujene, alpha pinene, and limonene which give it strong antiseptic, decongestant, and anti-inflammatory properties. It has a sweeter and more delicate fragrance than the other frankincense varieties with top terpenic-pine notes and costs less as it yields a higher amount of essential oil. Frankincense (Boswellia Frereana) essential oil, which is grown at a higher altitude, contains high amounts pinene, thujene, and cymene. These natural constituents yield strong anti-inflammatory, antibacterial, antispasmodic, and analgesic (pain relieving) properties making it especially suitable for inflammation caused by arthritis, swelling, and allergies. This type of frankincense has strong citrus-lemon top notes with an earthy, resinous heart. And finally, Frankincense (Boswellia Carteri) essential oil is the most well known of all the frankincense varieties. It has the smooth, richa aroma that people are most familiar with when they think of frankincense. Frankincense (Boswellia Carteri) essential oil contains high concentrations of alpha pinene, and other monoterpenes making it useful both in skin care and aromatherapy applications. When used in skin care applications it can help to diminish the appearance of fine lines, wrinkles and scars. When inhaled it is particularly beneficial at fighting the effects from acute colds and asthma. 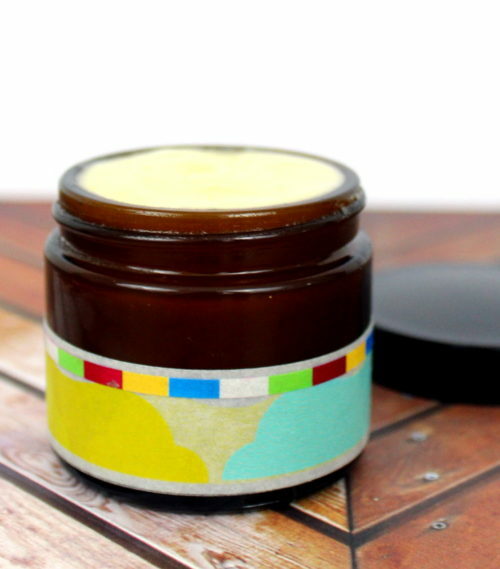 I used Frankincense (Boswellia Serrata) essential oil for my rose body butter recipe, however, you can use whichever frankincense essential oil you prefer for this application. You will need a digital scale to weigh out the all of the ingredients for my rose body butter recipe except for the frankincense essential oil and the vitamin E oil. For the frankincense essential oil you’ll need to measure out the amount called for in the recipe with a graduated plastic transfer pipette. Begin by weighing out the shea butter and coconut oil. Combine in a glass Pyrex measuring cup or similar and heat in the microwave at 50% power until melted. Alternately, you can also use a double boiler. Now weigh out the arrowroot powder and whisk into the melted shea butter and coconut oil. Next, weigh the rosehip seed and sunflower oils and stir into the body butter mixture. Add a few drops of Vitamin E followed by the frankincense essential oil. Finally, weigh out and add the rose kaolin clay. Mix well, then set the body butter in the refrigerator briefly. As the clay will want to sink to the bottom, you’ll need to cool the body butter down in order to evenly distribute the clay. 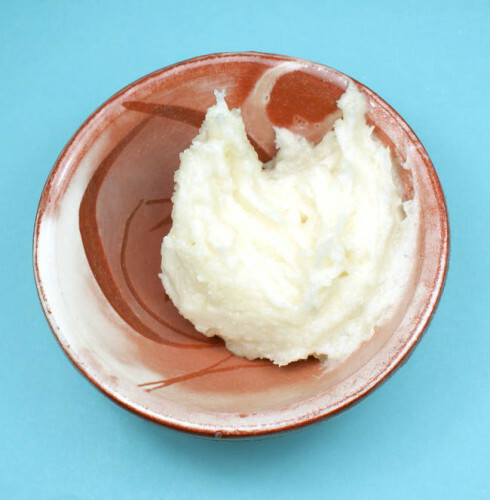 Once the body butter starts to thicken, remove it from the refrigerator and remix until the clay stays evenly distributed throughout the body butter and no longer sinks to the bottom. Once your natural rose body butter has completely solidified, screw on the caps and label as desired for personal use or gifting. 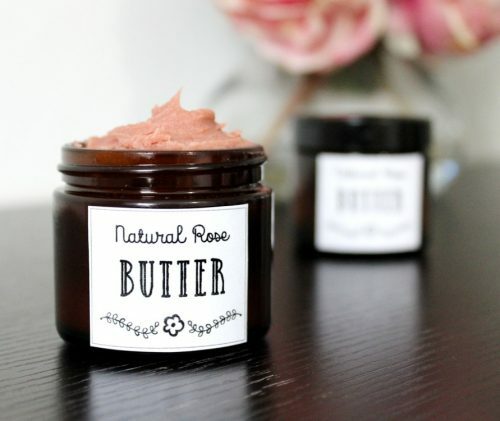 You can find free printable labels for my natural rose body butter recipe here. Simply print the PDF onto a full size sticker or label sheet and cut out the labels. To use, simply massage a small amount of the body butter onto your skin as desired and wait for it to absorb completely. I personally love this on my hands! It is also important to note that my rose body butter recipe yields a very soft body butter. If you live in a particularly warm climate in which coconut oil will not stay solidified for you, then I suggest adding a small amount of emulsifying wax to this recipe. I’d start with around .25 oz. If you actually want your rose body butter to smell like roses, substitute the frankincense essential oil with 1 mL of rose absolute. 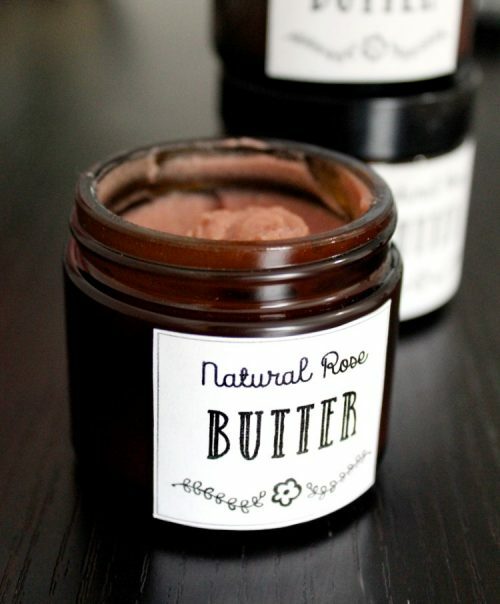 If you plan to sell your rose body butters, you’ll need to follow FDA guidelines for labeling your product. If you’re unsure about the rules and regulations regarding labeling cosmetics, I highly recommend the book, Soap and Cosmetic Labeling: How to Follow the Rules and Regs Explained in Plain English, by Marie Gale. 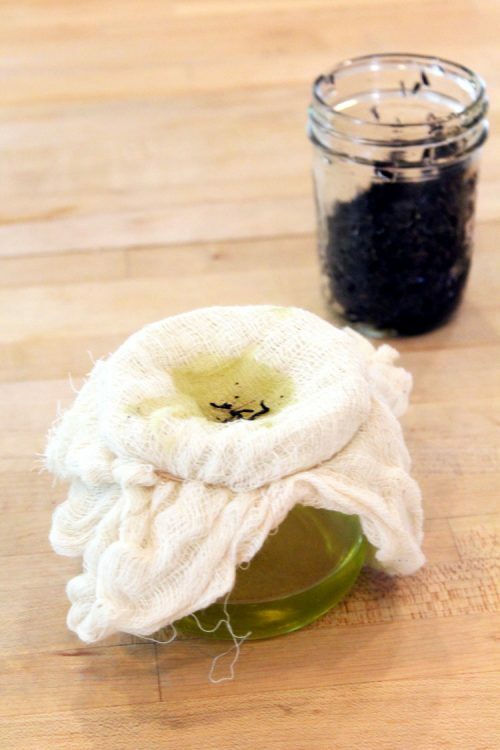 To discover more of my homemade bath and body recipes, be sure to follow my DIY Bath and Body board on Pinterest here. You can also find and follow me on G+, Tumblr, Facebook, Twitter, Blog Lovin’, and Instagram. Or sign up to receive new posts from Soap Deli News blog to your email via FeedBurner so you never miss a post. Also, don’t forget. If you make homemade soaps or bath & body products I will be featuring your creations on Soap Deli News blog on my weekly wrap up posts! Simply add the hashtag #soapdelishowoff to your instagram and twitter posts for a chance to have your handmade products featured! These natural anti aging skin care recipes can help to fight the signs of aging as well as those free radicals that can damage skin. Plus you can all make them very easily right in your own home! 1. 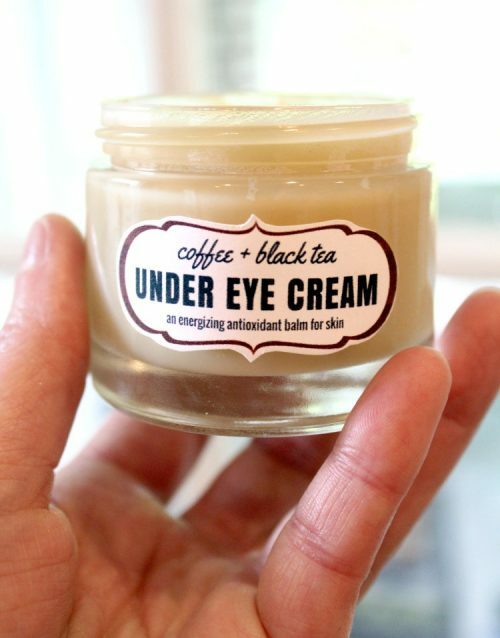 Natural Coffee Under Eye Cream Recipe – This DIY coffee under eye cream recipe is made using homemade coffee infused oil to help with those dark under eye circles, puffiness and even fine lines. 2. 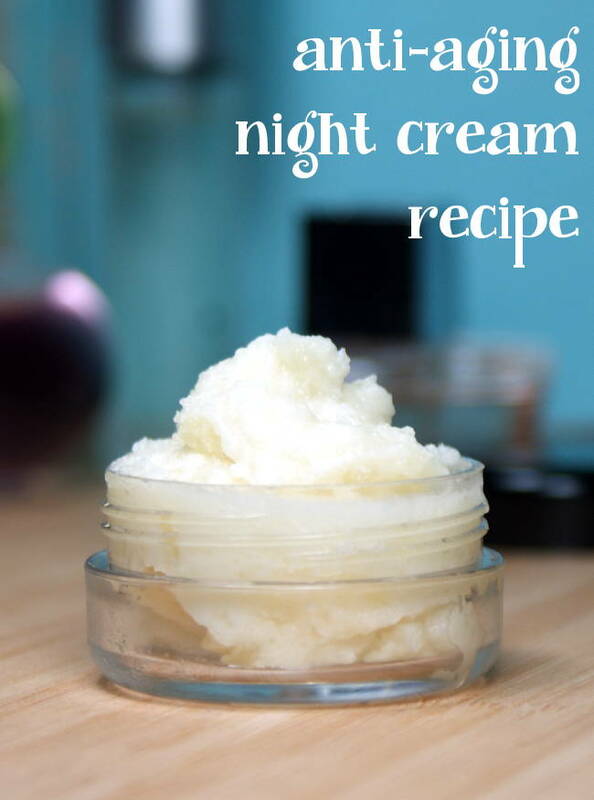 Anti Aging Night Cream Recipe – This anti aging night cream recipe helps to reduce the signs of aging naturally with ingredients like coconut water, cocoa butter, evening primrose and rosehip seed oil. 3. 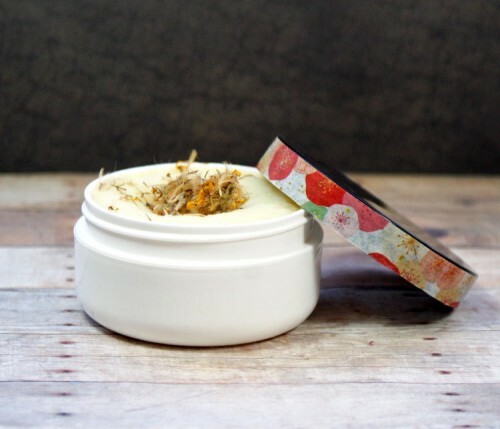 Natural Anti-Wrinkle Green Tea Eye Cream Recipe – Whip up this natural healing anti-wrinkle homemade green tea eye cream recipe to help keep your skin looking youthful and radiant! 4. 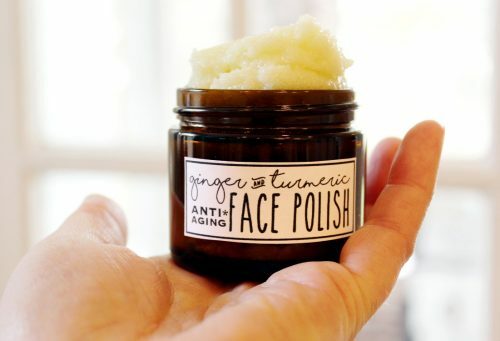 Natural Anti Wrinkle Face Serum Recipe for Mature Skin – This all natural anti wrinkle face serum recipe helps to keep the effects of aging to a minimum and aids in reversing those troublesome dry patches. 5. 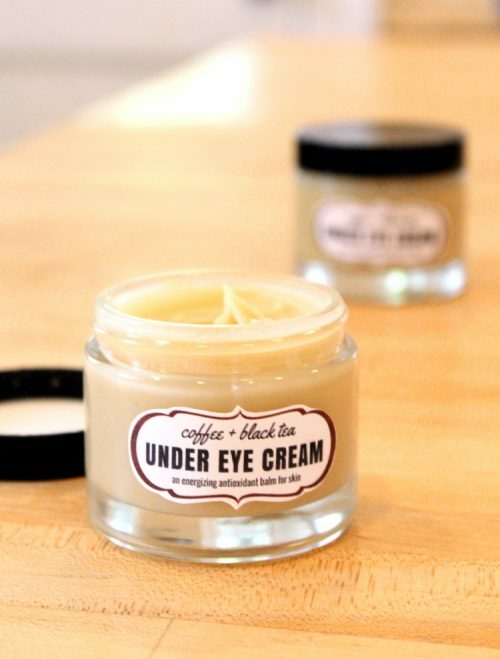 Natural Nourishing Under Eye Cream Recipe – This natural under eye cream recipe was formulated to help minimize the effects of aging and improve the overall condition of sensitive under eye skin. 6. 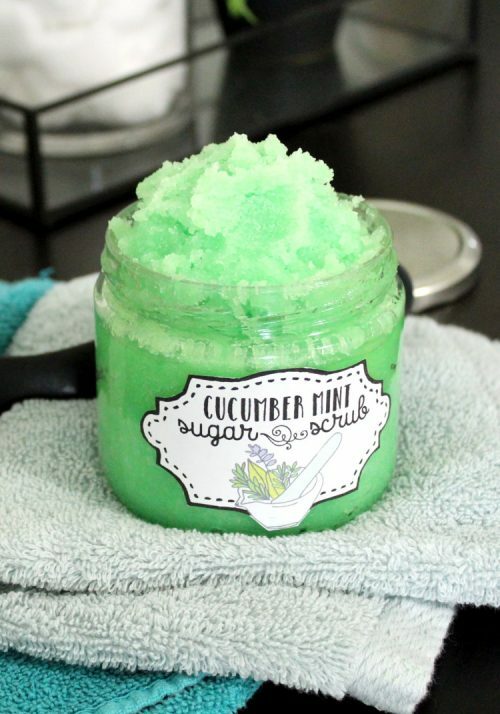 Anti-aging Natural Emulsified Sugar Scrub Recipe – This anti-aging natural emulsified sugar scrub recipe contains ingredients mature and aging skin loves without feeling heavy or greasy. It naturally exfoliates with granulated white sugar and then rinses cleanly away so it’s great even for oily or acne prone skin can benefit. 7. Argan and Rosemary Facial Cleansing Oil Recipe – This easy Argan and Rosemary Facial Cleansing Oil Recipe requires just two ingredients but delivers incredible results! It’s especially great for maturing skin as it can help to prevent wrinkles. Plus it doubles as a moisturizer! If you like these natural anti aging skin care recipes, you may also like my natural skin care recipes for making your own healing neem butter and natural burn relief spray as well as my natural anti acne skin care recipes. For even more natural anti aging skin care recipes, be sure to follow me on Pinterest. You can also find and follow me via Blog Lovin’ and Tumblr, Facebook, Twitter, G+ and Instagram. 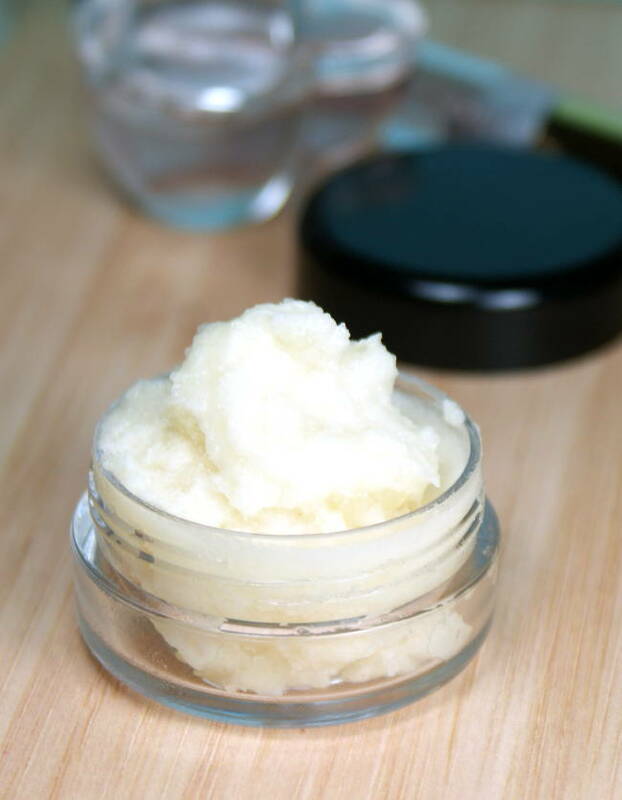 This anti aging night cream recipe helps to reduce the signs of aging naturally with ingredients like coconut water, cocoa butter, evening primrose and rosehip seed oil. 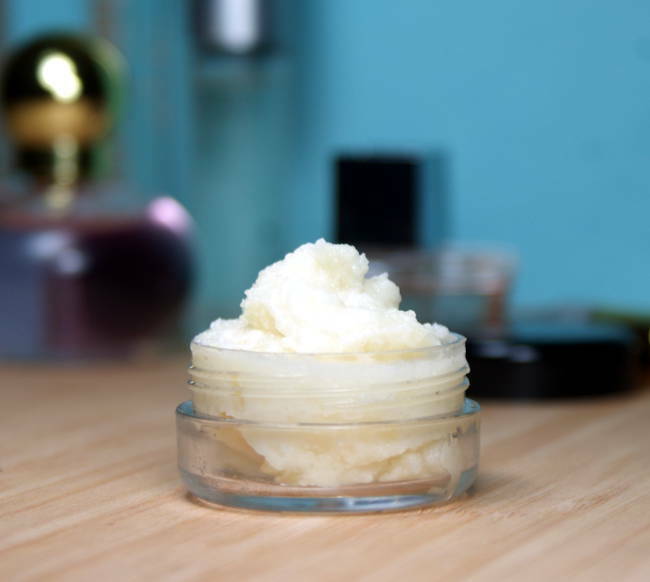 Free of frightening toxins, this natural anti-aging night cream recipe creates a healthier alternative to commercial anti aging products. It helps to reduce the signs of aging naturally with ingredients like coconut water, cocoa butter, evening primrose and rosehip seed oil for healthier looking, more beautiful skin! 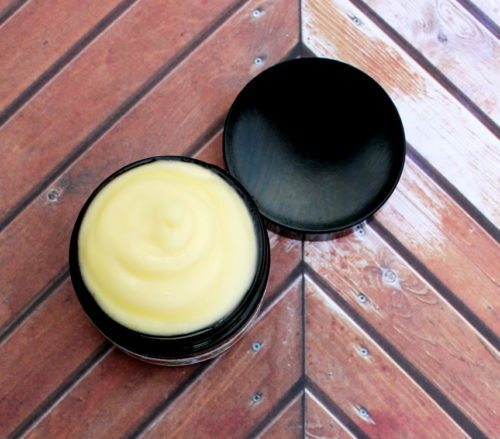 Rosehip seed oil was chosen for this night cream recipe due to its extremely high fatty acid content. It’s praised for it’s ability to fight against dry, weathered, and dehydrated skin. And it also works well at helping to minimize the appearance of scars. It’s commonly used throughout the beauty and skin care industry to help to prevent and diminish the appearance of wrinkles and premature aging. Evening primrose oil was chosen for its naturally occurring gamma-linolenic acid (GLA) as well as its moisturizing and skin softening effects while cocoa butter lends its moisturizing and healing properties. Coconut water also acts as a natural moisturizer to rehydrate skin. It is also rich in antioxidants and cytokinins which can help to prevent the skin from premature wrinkles and aging. In addition coconut water also has natural anti-viral, anti-microbial, and anti-fungal properties which can aid in healing as well as soothing damaged skin. 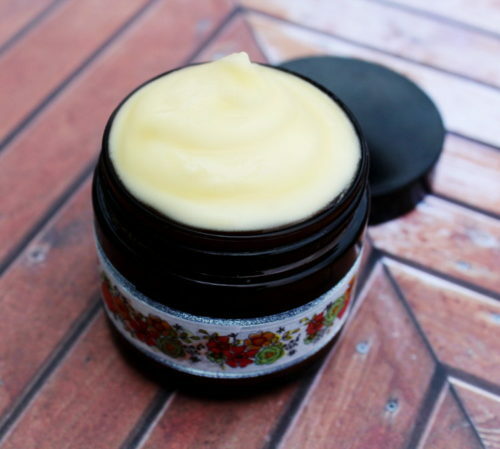 I recommend using double boilers for this anti aging night cream recipe. If you don’t have double boilers it’s snap to set canning rings inside your pot of water and then use a glass Pyrex measuring cup inside the pot on top of the canning ring. Just be sure to place the Pyrex in the pot of water BEFORE you turn on the heat. You’ll need a small one cup sized Pyrex measuring cup for the water based ingredients. This only makes about 2 oz. of product but you can easily double the recipe for a larger batch. You’ll also need a kitchen or candy thermometer. Begin by using a digital scale to weigh out the emulsifying wax, liquid shea butter, rosehip seed oil, evening primrose oil, cocoa butter, liquid soy lecithin and stearic acid. Place in a double boiler and add heat it begins melting. 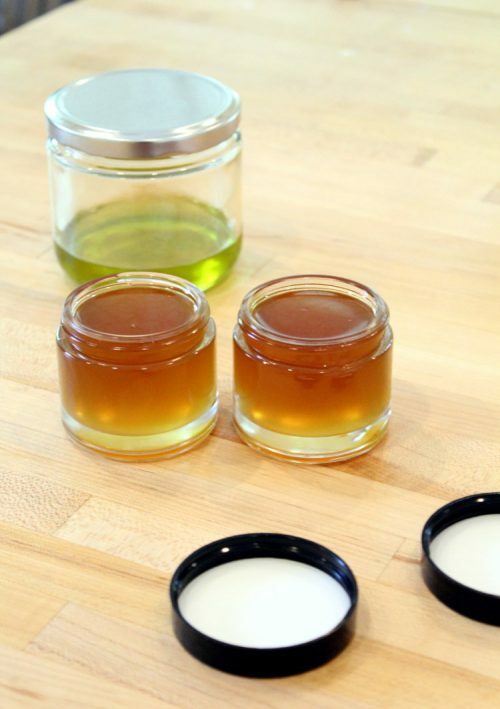 Once it melts bring the temperature of the oils, wax and butters to 158°F (70°C) and hold for 20 minutes. While the oils, butters and waxes are melting weigh out the coconut water into a second double boiler. Using a graduated plastic transfer pipette measure out the rosewater and stir into the coconut water. Bring the temperature of the waters to 158°F (70°C) and hold for 20 minutes. 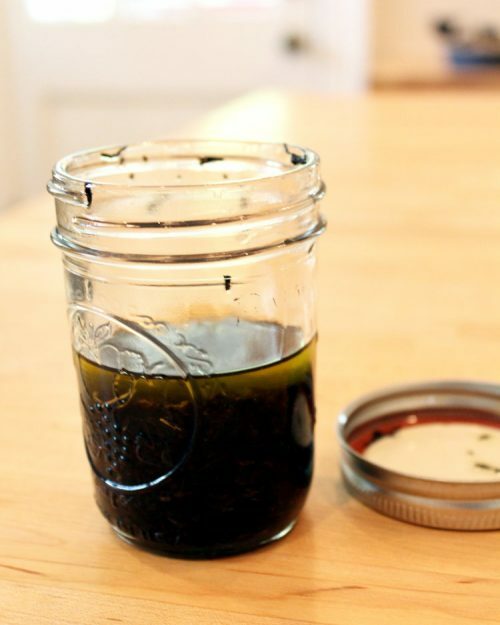 Remove both the wax, butter and oil mixture and the waters from heat. Slowly pour the waters into the oils while mixing with a stick blender. Once all the water has been added mix with a stick blender for three minutes. Allow the anti aging night cream mixture to cool to 113°F (45°C) then add the vitamin E, carrot seed essential oil and Optiphen Plus Preservative. Mix well for about two minutes with the stick blender then pour into the container(s) of your choice. You can also wait a day or two for your anti aging night cream to reach its final consistency, whip with a fork then spoon into your jar(s). As my house is rather cold at the moment I found the cream was much creamier and smoother if I whipped it two days after I made it before filling my containers. To use simply apply a small amount to your face and neck before bed paying extra attention to your eye area or other areas of concern. You can also apply this anti aging night cream during the day as you would an eye cream before applying makeup. It also works really well on dry hands and feet. 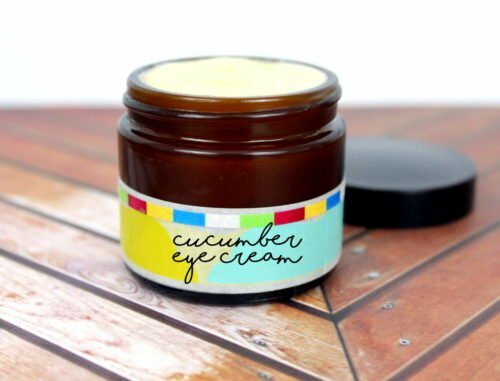 If you like my anti aging night cream recipe then you may also enjoy my Cucumber Eye Cream Recipe with cucumber and tea seed oil. 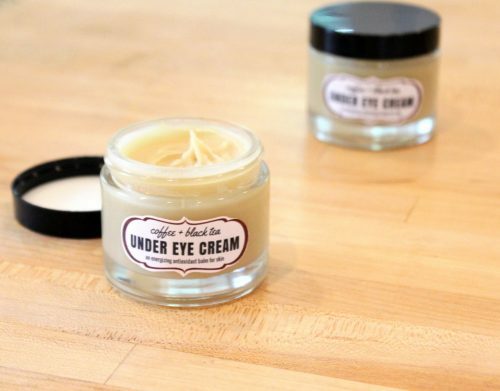 Naturally packed with vitamin C and caffeic acid, this homemade cucumber eye cream recipe is formulated using cucumber seed oil and cucumber hydrosol to target inflammation and help soothe skin irritation as well as reduce swelling. Additional ingredients, including tea seed oil, baobab oil and carrot seed essential oil, work together to help skin look and feel more youthful. Or view my entire collection of anti aging beauty recipes at Soap Deli News here. For more natural beauty DIY’s and skin care recipes as well as homemade soap recipes be sure to follow my boards on Pinterest. You can also follow me on Blog Lovin’, Tumblr, Facebook, Twitter, G+ and Instagram for regular updates and behind the scene sneak peeks. Or subscribe to Soap Deli News via email for future updates, DIY projects and recipes.